Some great features launched last week along with our new Friday #DevJam sessions and some great discounts from friends around the analytics industry. 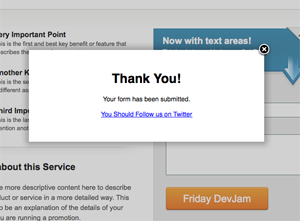 A modal window overlays your page after form submission. Beautiful. Thank-you pages. Confirmation pages. 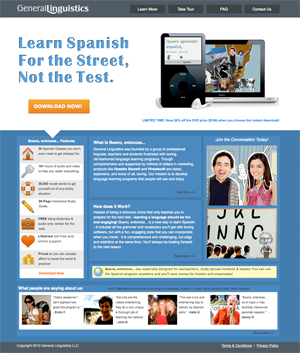 Conversion success pages. Call them what you like, but they’re here and they rule hard. The way we’ve built the confirmation dialog windows is a little like Lightbox, where your message appears in a window overlaying your page, and the background fades to remove distractions. (Live preview). Now you can whip up a confirmation page in minutes and start taking advantage of post-conversion opportunities. After all, they’re in the perfect “shopping mood” having just completed your form. Read: Post-Conversion Strategies for Lead Gen Landing Pages for more on the subject. You can now add your Google AdWords conversion tracking code (and other 3rd party examples) directly to the conversion page using the Custom HTML component. This will allow you to give away eBooks, whitepapers, etc. 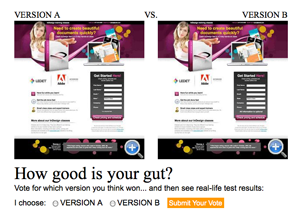 as the prizes for your lead gen conversions. 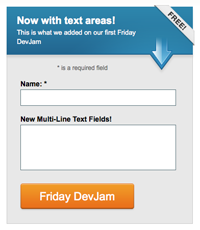 Our first DevJam was awesome, starting, finishing and releasing the multi-line form fields in a day. Peachy. Last week, we decided to dedicate Fridays to rocking out some smaller “micro-features” in between our regular roadmap items. First up were multi-line form fields (textarea’s in HTML speak) which completes the set of standard form elements for your lead gen forms. (Live preview here). Friday DevJam’s are all about intense slam style work where we all throw the roadmap onto the back seat and make things happen. Each week we’ll be looking at feedback and wish lists to uncover the next DevJam feature. We won’t be able to reinvent the wheel in a day, but hopefully we’ll get more of the small features you need delivered faster. Got an idea for our next DevJam? If there’s something you’re longing for – let us know on the forum here or Tweet about @Unbounce and include the hashtag #DevJam to jump in the conversation and suggest ideas. 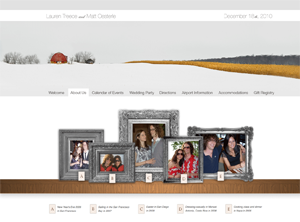 Now don’t get too crazy excited, we don’t have a new microsite feature or anything like that. But two cool customers have gone ahead and built them anyway. Props to them for hacking something out of a system not really design to go there. Both are unique in their designs and I encourage you to explore them for some inspiration. There is a ton of content on this iPod app microsite. If anyone else has a cool landing page to share, or is doing something weird and wacky with Unbounce, we’d love to see it. BoostCTR is a network of expert search marketing copywriters. They are the only site that lets advertisers outsource the creation and testing of text ads. Best of all, BoostCTR offers a money-back guarantee. Advertisers only pay for ads that beat the performance of their best existing ads. How it Works. They have been improving CTR (click through rate) by 70% for their clients. (Plus a discounted price of $75 per ad group thereafter). YoyoMetrics are offering FREE accounts to the first 100 people to sign up for their document tracking service. Get real-time analytics about how prospects interact with your ebooks, white papers and other documents-–after your content’s been downloaded and opened. Sign up here – note the use of an Unbounce landing page ;) – nicely done chaps. Pear Analytics are a cool new service that has a free SEO website analysis tool. It will do one page right off the bat – and they will also do your whole site for free. We recently had a couple of Unbounce customers featured on WhichTestWon.com which highlights successful and interesting A/B tests. If you have a great test example, send it to us and we’ll see about getting it featured (and getting you some exposure). They would love to have some real Unbounce customers go comment on their review. It would be great if you had a few minutes to share some honest thoughts. A shout out to Ken Yarmosh who in this interview on Mixergy mentions that Unbounce is in his new O’Reilly book called “App Savvy” about iPad & iPhone apps. Very cool. And lastly, we got a nice wee mention on the mighty Mashable.